New Benefit product launches are some of the most hyped up makeup launches around, and the hype around Benefit's Roller Lash mascara was no different. Deemed by some as the best mascara ever, it was an instant hit and everyone seemed to be raving about it, especially as Elle magazine gave out mini samples right before the launch, creating even more hype as the masses were able to give it a test run. I too jumped on the bandwagon and was pretty excited to test out Benefit's newest offering and I wasn't disappointed, however after hearing on the beauty blogging grapevine that the Maybelline Lash Sensational was an almost perfect dupe I had to get my hands on that as well. I'm sure by now you've seen multiple comparison posts for these two mascaras but I wanted to give them both a real test before reviewing. I've used both regularly since and although they are very similar, I've come to a conclusion on which one is my favourite! As you can see the brushes on both wands are very similar. They are both plastic with a slight curve to them. This curve allows you to really get to the bottom of the lashes and the small bristles mean you catch every lash and it 'locks in' to give more of a curl. The Benefit wand is thiner than the Maybelline one and has slightly less of a curve to it, I find the Lash Sensational coats my lashes quicker and is a thicker consistency. Roller Lash's main selling point is it's ability to give a great long lasting curl and as you can see in the comparison picture below, it does seem to give slightly more of a curl than the Lash Sensational. I think if you curled your lashes before (which I haven't in these photos) you'd get an even better curl from both mascaras. The design of the wands definitiely helps curl the lashes as you can get to the roots and bring the lashes up into a curl against the wand. I'd say Benefit's option wins on the curl front, but Maybelline does still offer a good curl with their mascara. I love a good volumising mascara, I have quite a lot of lashes and I love them to look as big as possible, and I definitely found that Lash Sensational had the best volume, it is a wetter formula but not too wet and it coats the lashes really well, the smalll bristles on the brush really get into the roots of your lashes, it also defines lashes really well and doesn't clump. Roller Lash also defines lashes really well and doesn't clump however the slightly drier formula means it doesn't give as much volume. I'm quite lucky in that I have naturally long eyelashes anyway, so length is never something I look for in a mascara and I more lean towards a mascara that curls and gives volume. However both mascaras do give length, if you have short eyelashes these might not be the mascaras for you, however the Maybelline Lash Sensational is easily build able to give more length. Roller Lash is slightly harder to build up because it's a dry formula but it does give a nice length too. Other than when I rub my eyes I never really have an issues with flaking with most mascaras, including these two, I am more likely to get flaking with the Roller Lash though. I haven't found that either mascara smudges on me and both seem to hold the curl quite well. Benefit claim it will hold a curl for 12 hours, I think this is definitely exaggerated and neither mascara holds the curl it starts with for 12 hours, however the curl is definitely still there. I think if you curled your eyelashes first you'd definitely see an improvement in the longevity of the curl. These mascaras are so similar I could probably use one of each eye and no one would be able to tell the difference. However one has inched it's way forward to become my favourite and the winner of this battle and thats the Maybelline Lash Sensational Mascara. I prefer the formula, it gives more volume and is more buildable, although I do find Roller Lash gives a better curl I think with some curlers Lash Sensational would definitely compete! Also the very obvious difference and a big decider in my decision making is the price. At only £7.99, compared to Benefit's £19.50, Maybelline's Lash Sensational is a much more purse friendly option and I won't be purchasing a full size of Roller Lash when I can have a dupe I prefer! I'm a big believer that mascara is a very personal thing, something that works for me may not work for you, so unfortunately you've just got to try and hope you like! If you've been thinking about trying Roller Lash I'd definitely recommend giving Lash Sensational a go first as they are very similar! If you've tried either of these mascaras I'd love to hear what you thought of them? I'd also love to find out what your Holy Grail mascara is? Mine used to be Maybelline's The Falsies but im on the hunt for something new to fall in love with. Wow! I didn't know that. I got a sample of the roller lash and my friend actually snatched it! (Wish I was kidding...) It looked amazing, so I think I will pick up that Maybelline dupe! I haven't tried lash sensational but I really want to try it! I'm a big fan of the rollerlash though! 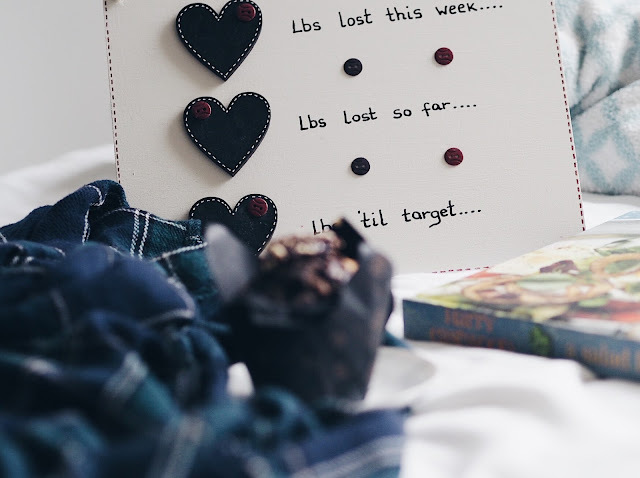 Glad you wrote this post Emma! 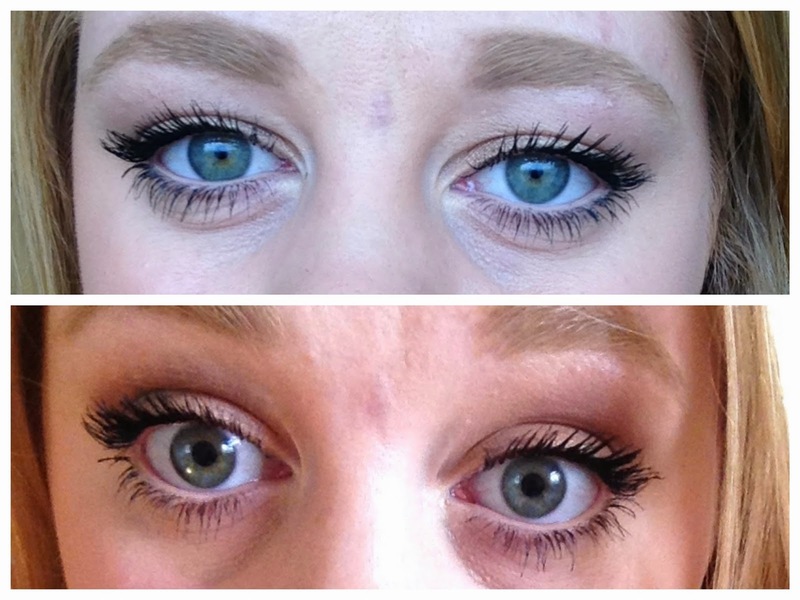 So last month I started using the Maybelline lash sensational mascara & I'm an utter convert. Goes on really well & stays well... Plus, at only £8.99, it's a bargain in comparison! I tend to gravitate towards the Maybelline mascaras. Had some great experiences with those. 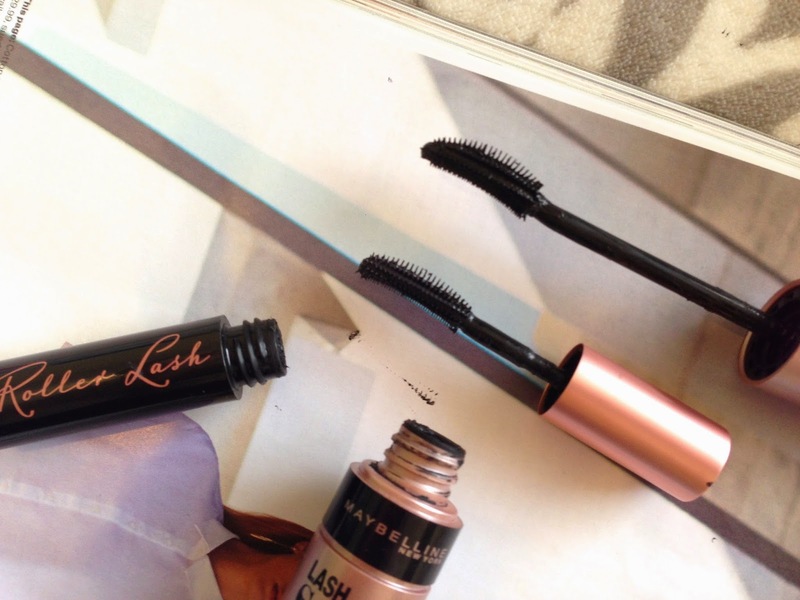 Maybe I'll try the Lash Sensational Mascara next :D. Great review and comparison, btw. Very thorough.